Social proof is the positive influence created when someone finds out that others are doing something. It is a great marketing tool in the online world that works for almost any type of (large or small) organization or business. 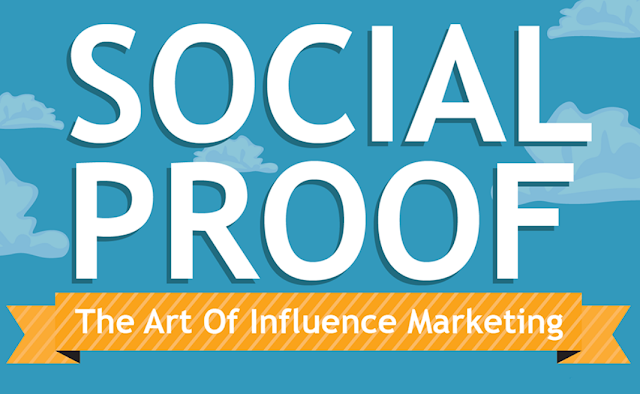 Take a look at the below infographic by SocialProofCreative to learn more about what is social proof? It's influences perception and how it builds trust and increase conversions and ultimately grow your business. Proof in numbers e.g "To date we have more than 10 thousand happy customers". 70 percent of consumers say that they trust online reviews and opinions posted by other existing consumers. 85 percent of Americans used the internet to find a local business in their area. 52% of consumers said that positive online reviews encourage them more likely to use a local business. 94 percent of retail sales still happen offline. 60% increases in traffic after adding users-generated testimonials. 30% increase in conversations when adding user reviews. The one of the easiest way for businesses to rise above the "social media noise" and succeed is to make it easy for everyone by building trust.